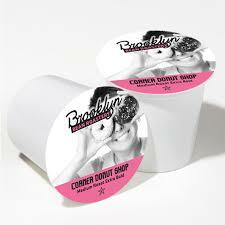 Brooklyn Bean Roastery’s Corner Donut Shop blend is the perfect coffee to compliment your favorite morning sweet treat. 1. 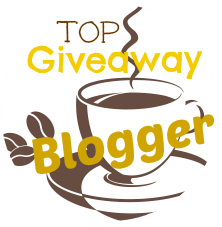 If you are an Honorary Brooklynite, Blogger or affiliated with Two Rivers Coffee for any type of reviews, you are not eligible to enter contests; 2. Only one entry per person. 3. Only those 18 years and older are eligible to win. 4. Winners must live in the continental United States. 5. Only one prize per household, per 90-day period. May the best coffee lover win! Sounds like a really great coffee!! can't live with my keurig coffee maker and coffee! 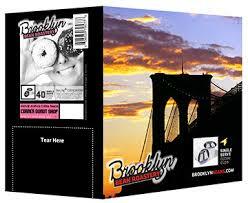 would love to try! The week leading up to Valentine's Day, I set out a small mailbox for each of my three boys and after school each day they find a small treat in it for them! It helps to make the month a bit sweeter! I sweeten up my February with hot chocolate. February is sweetened up by the love my husband and I have for each other. My Keurig helps turn my home into a coffee shop with coffee for me and hot chocolate for the kids! I sweeten up February by baking goodies for my family.